As we get closer to AJ2013, info for our own local scouts will be placed here. However the links and general info may be of use to those not in our district (within South met, NSW). 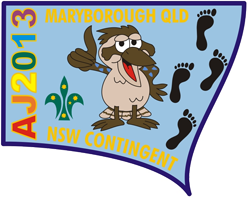 With the 22nd Australian Jamboree less than 15 months away, all Cubs aged 10 1/2 who intend to go should already be moving up to Scouts, as one of the requirements is to have been in the scout section for a full year by AJ (ie, going up the first day back in 2012 is too late). Full eligability criteria are listed on the official websites, and applications have closed. AJ is such a great event to get to, don't miss out. Last updated 31st May 2012.